Posted March 10th, 2015 by Brandy Aguilar & filed under Articles. Arizona Sculptor Rusty Bowers is hard at work on his latest project at the Bollinger Atelier Fine Arts Foundry in Tempe. 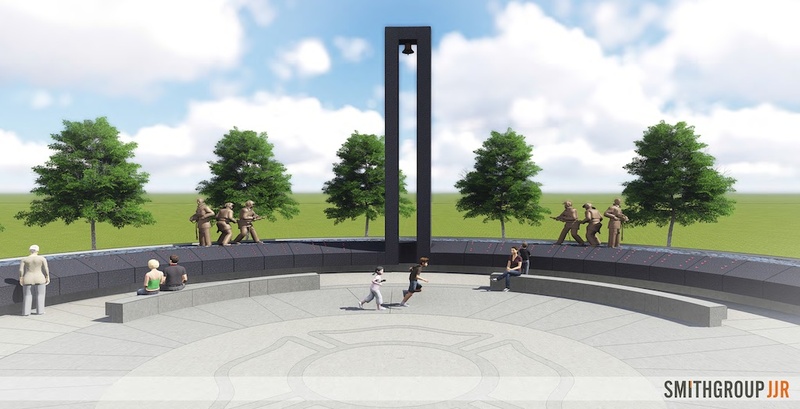 Bowers is creating five of the 10 life-size bronze sculptures that will stand in the new Arizona Fallen Firefighter Memorial on the eastern edge of Wesley Bolin Plaza in Phoenix. They will represent professional firefighters, wildland firefighters and paramedics. “They’re large pieces and I like working big,” Bowers said. He’s helping to create a memorial to remember the more than 105 known heroes in Arizona who have lost their lives in the line of duty. Bowers said public art is about celebrating. Bowers started this journey in creating his sculptures last October. “They will cast a wax from the model, from the maquette, and we digitize it and they carve it in foam,” Bowers said. “So it looks like the Pillsbury Doughboy who fell in flour and then I finish it. I will do all the undercuts and do all the service texture, all the clay. Bowers said a lot of people are needed to get this process done. The native Arizonan is well-known for his diverse artistic abilities not only here in this state, but across the country. This includes artwork called the Guardian to honor the officers with the Chandler Police Department. But for Bowers, he’s just honored to be part of a memorial remembering the men and women firefighters and paramedics, who will continue to be the first ones in. “We will remember them and their grandkids and their great-grandkids and [they will] say, ‘That is my great-grandfather’s name in that wall,'” Bowers said. “They will come and touch, hold my sculpture and there will be parts of it where pretty soon the bronze will rub off and I love that and that means kids held it,” he continued. Bowers believes a sculpture is worthless unless you can touch it.